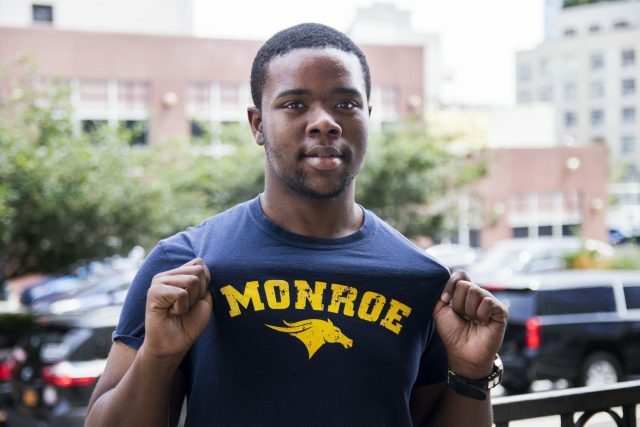 Alonzo, now a freshman at Monroe College, aspires to study Criminal Justice in hopes of one day joining the police force. “The community needs cops like me,” he says. Although his childhood was not an easy one: moving in and out of different foster and group homes, Alonzo overcame the many obstacles in his life. And, as he grew, he began to see the tremendous value of education. At one point, Alonzo was commuting two hours to attend a charter school, and after graduation, he was even willing to join the military to finance his college education. But, Alonzo did not have to enlist to get a college degree.